OCNEX is a legal organization which endeavors to ensure all of its policies and procedures are fully compliant with GDPR (General Data Protection Regulation 2016/679) requirements. We also endeavor to treat your privacy concerns very seriously. Persons using the OCNEX Platform, directly or indirectly, are referred to herein, as “Users”. In order to prevent misuse of the OCNEX Platform, Users are required to strictly comply with the terms contained herein, which forms part and parcel of the User Terms of Service. Terms not defined herein shall carry the same interpretation, as in the User Agreement and in the absence thereof to general usage and parlance. Risk Warning Disclaimer: Trading in Virtual Financial Assets on Crypto-Exchange Platforms involves a high degree of risk to your capital. Virtual Financial Assets may not be appropriate for all investors and you should seek independent advice if necessary. Trading with Virtual Financial Assets may result in total loss of your investment. 1.1 “Applicable Law” means the law in force for the time being within the territory of the Republic of Malta. 1.2 ‘AML’ means ‘Anti-Money Laundering’, and in this connection, the applicable legislation shall be the Directive (EU) 2018/843 of the European Parliament and of the Council of 30th May 2018 amending Directive (EU) 2015/849 on the prevention of the use of the financial system for the purposes of money laundering or terrorist financing and amending Directives 2009/138/EC and 2013/36/EU. “www.ocnex.io” (“OCNEX Website”). Collectively along with the OCNEX Developer Portal, Public APIs and secure authentication for OCNEX Users is referred to as the “OCNEX Platform”. 1.4 “GDPR” means REGULATION (EU) 2016/679 OF THE EUROPEAN PARLIAMENT AND OF THE COUNCIL of 27 April 2016 on the protection of natural persons with regard to the processing of personal data and on the free movement of such data and repealing Directive 95/46/EC (‘General Data Protection Regulation’). 2.1 OCNEX is committed to ensuring the safety and protection of all data and information shared with OCNEX by its Users in accordance with GDPR, Applicable Laws and the terms and conditions set out hereunder and processes established by OCNEX in compliance with the applicable reasonable security practices and procedures, prescribed by Government or Regulatory authorities, as the case may be. 2.2 OCNEX shall not be liable for any breach or violation of its systems or policies due to malicious attacks, errors, commissions or omissions not willfully initiated by OCNEX, leading to breach of data or information of User. 4.2 OCNEX may collect required personal data and information of the User to provide its services. Use of the OCNEX Platform is contingent upon acceptance of the terms and conditions contained herein. User shall be deemed to have volunteered the data and information collected, retained, used and disseminated by OCNEX, upon accepting the terms herein and those contained in the Terms of Service and User agreement of OCNEX. 1) Personal Identification Information: Full name, date of birth, nationality, gender, signature, utility bills, photographs, phone number, national ID proof, home address, and/or email. To complete your user profile and process your registration request on OCNEX Platform allowing you to enter in a contract with us. To provide OCNEX products, services and support and enhance the performance of our contract with you. To communicate with you about your account and our services, including informing you of changes to our fees and our terms and conditions related to our services. For Managing services including your account with us. To communicate with you regarding your account and our services. To maintain legal and regulatory compliance. 2) Recognized Identification Information: Tax ID number, passport number, driver’s license details, national identity card details, photograph identification cards, and/or visa information. To complete your user profile and Verify your registration request on OCNEX Platform allowing you to enter in a contract with us. To complete KYC (Know your customer) form to complete the regulatory requirements of Trading. To ensure that our customers are genuine and preventing Identity theft. To prevent anti national and terrorist finances and protect our users and business from any threat or Damage. 3) Monetary Information: Bank account information, Permanent account Number, Credit or Debit Card Number, transaction history, trading data, and/or tax identification. 4) Transaction Information: Information about the transactions by using OCNEX Platform, such as the name of the recipient, digital currency address, your name, the amount, and/or time stamped. To provide you customer Service. 5) Employment or Business Information: Office location, job title, and/or description of Business, role, etc. To develop and improve our services based on analyzing the behaviors of our users and the technical capabilities of our users. To enhance our technical capability by making our app compatible with your devices and to enhance your app browsing experience and ease of operation. To identify technical issue and monitor the health of OCNEX Platform. 7) Access to User’s Photo Gallery / Media / Files / Camera for using OCNEX Platform more efficiently. 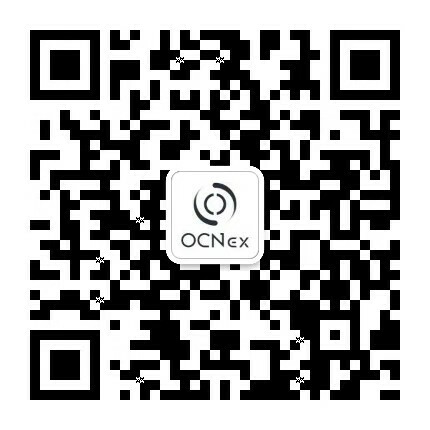 To allow you to upload KYC Documents, profile picture on OCNEX Platform. To read & auto-fill the OTP SMS so that we can verify your mobile number. This is helpful in your account verification (KYC). 9) Leave a message – We may collect your name, email id, mobile number, country, etc when you leave a message on our website. To provide OCNEX products, services and support and enhance the performance of our services. To inform you about OCNEX products, services or any other activities that OCNEX may undertake. What is our Legal Basis for data processing? Processed with your explicit and free consent which we obtain from you from time to time. 7.1 OCNEX may collect, use and share aggregated data to create anonymised statistical data. OCNEX may provide this statistical data to its business partners or third parties. 7.2 Aggregated Data may be derived from your personal data but is not considered personal data in law as this data does not directly or indirectly reveal your identity. For example, we may aggregate your Usage Data to calculate the percentage of users accessing a specific website / app feature. 7.3 We will only retain your personal data for as long as necessary to fulfill the purpose for which we have collected it, including for the purposes of satisfying any legal, accounting or reporting requirements. 7.4 To determine the appropriate retention period for personal data, we consider the amount, nature and sensitivity of the personal data, the potential risk of harm from unauthorized use or disclosure of your personal data, the purposes for which we process your personal data and whether we can achieve those purposes through other means and the applicable legal requirements. 7.5 By law we have to keep basic information about our customers (including contract, identity, financial and transaction data) for ten (10) years after they cease being customers for online trading purposes. In some circumstances we may anonymize your personal data (so that it can no longer be associated with you) for research or statistical purposes in which case we may use this information indefinitely without further notice to you. When you use this website or other services we provide to you, you may be able to link to other third-party websites, plug-ins and applications. 7.8 OCNEX protects your personal information by maintaining physical, electronic, and procedural safeguards in compliance with the applicable laws and regulations. 7.9 The retention period may be extended to comply with legal obligations, resolve disputes, and enforce agreements for a period of ten (10) years after termination of the account or such period, under applicable laws. OCNEX may retain data for further periods but is not obligated to do so in all instances. OCNEX shall not be liable or responsible for non – availability or non – retention of data or information beyond the termination of the User account. 7.10 The retention period may extend beyond the end of User account, but it will be only as long as it is necessary for OCNEX to have sufficient information to respond to any issues that may arise later, including but not limited to retention for the purpose of investigations or ongoing prosecutions or in case of Suspicious transactions or if OCNEX requires the information for its records or to support legal proceedings, or if OCNEX believes in good faith that a law, regulation, rule or guideline requires it. 7.12 Subsequently, OCNEX cannot ensure or warrant the security or confidentiality of information you transmit to us or receive from us by Internet or wireless connection, including email, phone, or SMS, since we have no way of protecting that information once it leaves and until it reaches us. If you have reason to believe that your data is no longer secure, please contact us at developer@ocnex.io. OCNEX however takes all reasonable steps to secure data and information pertaining to its Users, including those prescribed under applicable laws and Rules framed thereunder. 7.13 We will keep information about visitors to our websites (not being customers) for a reasonable length of time, that lets us understand how people use our website and any technical issues they have. 7.14 We try to respond to all legitimate requests within one (1) month. Occasionally, it may take us longer than a month if your request is particularly complex or you have a number of requests. In this case, we will notify you and keep you updated. 7.15 You have a right to make a complaint at any time to the Office of the Information and Data Protection Commissioner (“IDPC”), the Maltese supervisory authority for data protection issues. We would, however, appreciate the chance to deal with your concerns before you approach the IDPC so please contact us or our DPO in the first instance at the email specified above. 8.1 The User shall ensure that all data and information shared with OCNEX is accurate, correct and complete. User shall ensure that change of the User’s address or any change in circumstances impacting use of the OCNEX Platform, is promptly communicated to OCNEX. 8.2 OCNEX will not be held liable or responsible for any incorrect information provided by the User to OCNEX. 8.3 User may, upon termination of the use of the OCNEX Platform, as provided in the Terms of Service, withdraw consent granted herein to OCNEX. The same shall however not affect actions undertaken or data and information collated, or technological processes initiated prior to such withdrawal of consent. Such withdrawal of consent shall also not affect retention of data and information collected prior to such withdrawal. 9.2 We will only transfer your personal data to countries that have been deemed to provide an adequate level of protection for personal data by the European Commission. For further details, see European Commission: Adequacy of the protection of personal data in non-EU countries (https://ec.europa.eu/info/law/law-topic/data-protection/data-transfers-outside-eu/adequacy-protection-personal-data-non-eu-countries_en). 9.4 Where we use providers based in the US [if applicable], we may transfer data to them if they are part of the Privacy Shield which requires them to provide similar protection to personal data shared between the Europe and the US. For further details, see European Commission: EU-US Privacy Shield. In connection with selling, merging, acquiring, transferring, or reorganizing all or parts of OCNEX’s business. European Economic Area (EEA Residents) have the following rights, which can be exercised by contacting us developer@ocnex.io so that we may consider your request under applicable law. Right to withdraw consent – You have the right to withdraw your consent to the processing of your personal information collected on the basis of your consent at any time. Your withdrawal will not affect the lawfulness of OCNEX’s data processing based on consent before your withdrawal. Right of access to and rectification of your personal information – You have a right to request that we provide you a copy of your personal information held by us. This information will be provided without undue delay subject to some fee associated (if applicable) with gathering of the information (as permitted by law), unless such provision adversely affects the rights and freedoms of others. You may also request us to rectify or update any of your personal information held by OCNEX that is inaccurate. Right to erasure [right to be forgotten] – You have the right to request erasure of your personal information that: (a) is no longer necessary in relation to the purposes for which it was collected or otherwise processed; (b) was collected in relation to processing that you previously consented, but later withdraw such consent; or (c) was collected in relation to processing activities to which you object, and there are no overriding legitimate grounds for our processing. The above is subject to limitations by relevant data protection laws. technically feasible and once our platform interface allows for the ‘exportation’ of such data. In this connection, OCNEX is committed towards creating a robust function ensuring data portability in due course. Without prejudice to the aforesaid, data portability will be prohibited if the requested migration of said data adversely affects the rights and freedoms of others. A “controller” is a natural or legal person, public authority, agency or other body which, alone or jointly with others, determines the purposes and means of the processing of your personal information. You contest the accuracy of your personal information that we processed. In such instances, we will restrict processing during the period necessary for us to verify the accuracy of your personal information. The processing is unlawful, and you oppose the erasure of your personal information and request the restriction of its use instead. We no longer need your personal information for the purposes of the processing, but it is required by you to establish, exercise or defense of legal claims. You have objected to processing, pending the verification whether the legitimate grounds of OCNEX’s processing override your rights. Restricted personal information shall only be processed with your consent or for the establishment, exercise or defense of legal claims or for the protection of the rights of another natural or legal person or for reasons of important public interest. We will inform you if the restriction is lifted. Notification of erasure, rectification and restriction – We will communicate any rectification or erasure of your personal information or restriction of processing to each recipient to whom your personal information have been disclosed, unless this proves impossible or involves disproportionate effort. We will inform you about those recipients if you request this information. Right to object to processing – Where the processing of your personal information is based on consent, contract or legitimate interests you may restrict or object, at any time, to the processing of your personal information as permitted by applicable law. We can continue to process your personal information if it is necessary for the defense of legal claims, or for any other exceptions permitted by applicable law. Automated individual decision-making, including profiling – You have the right not to be subject to a decision based solely on automated processing of your personal information, including profiling, which produces legal or similarly significant effects on you, save for the exceptions applicable under relevant data protection laws. Right to lodge a complaint – If you believe that we have infringed your rights, we encourage you to contact us first at developer@ocnex.io, so that we can try to resolve the issue or dispute informally. 11.3 OCNEX however does not extend any warranties with respect to the security or safety of data and information transmitted through digital platforms or online, both of which are susceptible to malicious attacks. All other provisions of the OCNEX Terms of Service and user agreement shall be read along with this policy and shall form part hereof, including Governing Laws and jurisdiction, notices, severability, assignment and such or other provisions.